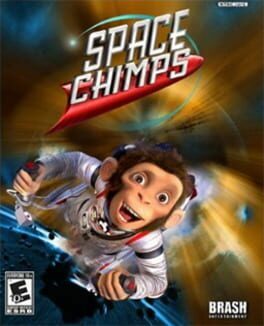 Space Chimps is based off of the 2008 movie with the same name. 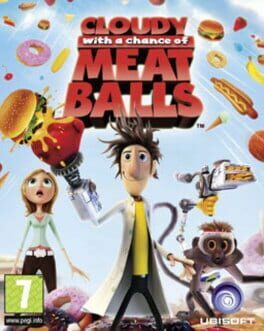 Cloudy with a Chance of Meatballs is based on the 2009 computer-animated film of the same name. 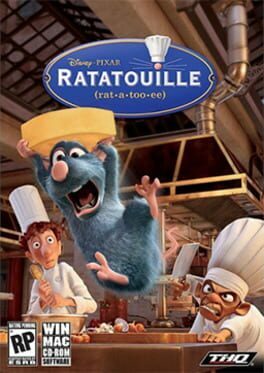 The player is cast as Flint Lockwood, an aspiring inventor who tries to solve the hunger problem in his town by creating a machine that turns water into food. Soon, the machine is out of control, and it literally is raining food on Flint's town. It's up to him to stop the machine and get rid of the abundance of food. To make matters worse however, the machine is now protected by mutated food. The player has to fight and puzzle their way through twenty levels, using Flint's self created gadgets such as a hair dryer converted into a heat gun, which can be used to melt obstacles composed of ice cream, or a mechanical boxing glove to punch food. Each level features thirty specific destroyable food items. Destroying all of them unlocks a piece of a blueprint for a special item. 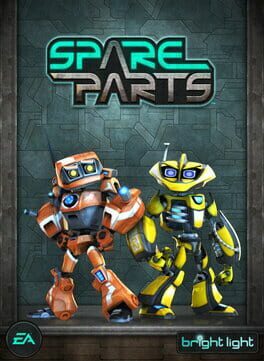 Spare Parts tells the story of courageous robots Mar-T and Chip, who find themselves dumped out with the rubbish on a strange planet. Working together in co-op mode, the mechanical duo must find a way to repair an abandoned space ship and escape the planet before evil Lord Krung can dispatch his henchmen to destroy them. Searching the hostile environments for ship parts and currency, Mar-T and Chip will also collect upgradable action parts – such as Rocket Boots – to unlock new abilities that will aid them as they rescue other stranded robots, and battle countless enemies including the relentless Krofax troopers, hostile spider monkeys and even a Super Huge Mega Laser! Rayman Raving Rabbids marks the return of the iconic video-game hero, Rayman, in his funniest and zaniest adventure ever. 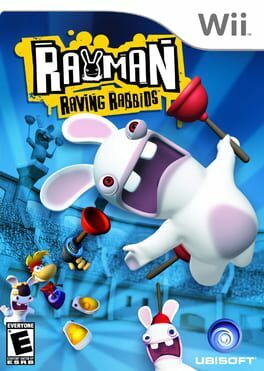 When the world of Rayman is threatened by a devastating invasion of crazed, out-of-control bunnies Rayman must rise up against his furry foes to foil their wicked plans. Utilizing an array of amazing new abilities, and with the help of magical creatures, Rayman must break out all the moves to save his world from these delirious bunnies and their hare-raising antics. 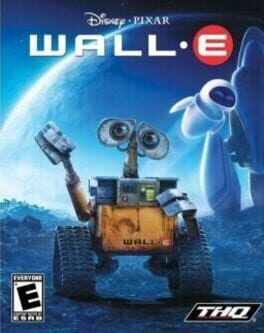 Based on the 2008 computer animated film from Pixar Animation Studios, the video game version of WALL-E involves playing as the lonely robot as he navigates a trash-tainted world and begins an unlikely trek across the cosmos. 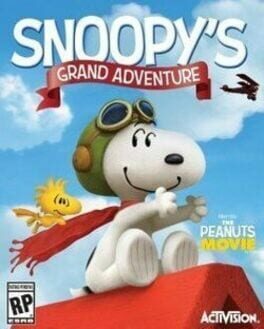 The Peanuts Movie: Snoopy's Grand Adventure is a side-scrolling platform video game based on The Peanuts Movie. 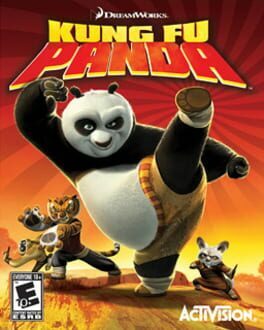 The game launched on November 3, 2015 in North America, and November 6, 2015 in Europe for the Nintendo 3DS, PlayStation 4, Wii U, Xbox 360, and Xbox One. It was distributed by Fox Digital Entertainment, published by Activision and developed by Behaviour Interactive. 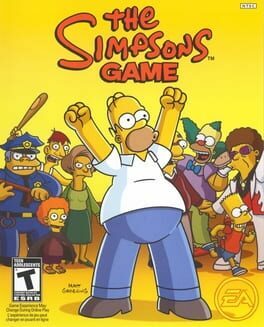 The Simpsons Game is based on the animated television series The Simpsons. 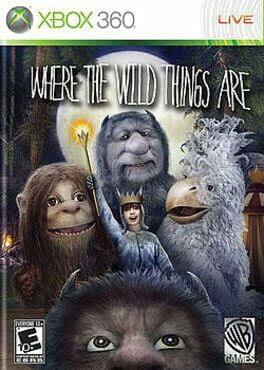 It features an original storyline written by Tim Long, Matt Selman, and Matt Warburton. In the self-referential plot, the family discovers that they are forced to participate in another The Simpsons video game. 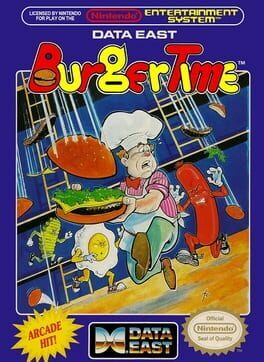 BurgerTime (バーガータイム Bāgātaimu) is a 1982 arcade game created by Data East for its DECO Cassette System. The game's original title, Hamburger (ハンバーガー), was changed to BurgerTime before its introduction to the US. The player is chef Peter Pepper, who must walk over hamburger ingredients located across a maze of platforms while avoiding pursuing characters. The game was popular in arcades. In the US, Data East USA licensed BurgerTime for distribution by Bally Midway. The Data East and Midway versions are distinguished by the manufacturer's name on the title screen and by the marquee and cabinet artworks. The whole Kidd family is upset! Alex’s father, King Thor, is missing, and they suspect he has been kidnapped by Ashra, the mean ruler of the planet Paperock. Alex speeds to Paperock to investigate, but the creatures of Paperock decide to hinder his efforts and try to keep him away from Sky Castle, Ashra’s hideaway. 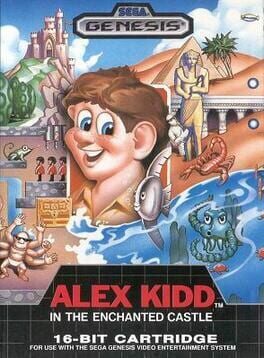 Luckily Alex knows how to jump, punch and kick his way through the most stubborn of enemies. 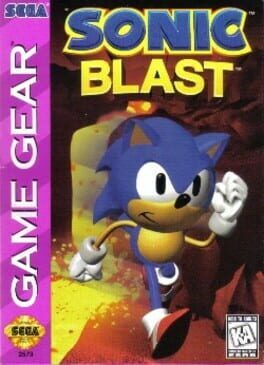 Sonic Blast was the last Sonic game for the Game Gear. The game was also ported to the Sega Master System in Brazil by TecToy and released in December 1997, making it the last game ever made for that system. 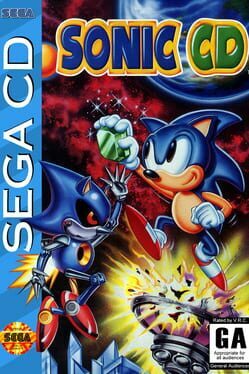 While this game was released at the end of 1996 in conjunction with the similarly named Sonic 3D Blast, it is worth noting that the two games have little in common. No enemies, levels, or bosses, are shared between the games. The story is also completely different. Sonic and Knuckles join together to collect five of a Chaos Emerald's pieces and confront Dr. Robotnik at Silver Castle. The heroic lombax, Ratchet, returns this fall in an all-new adventure with Ratchet & Clank® Future: Quest for Booty. A stand-alone adventure for both fans and newcomers to the franchise, Ratchet & Clank Future: Quest for Booty offers up to four hours of gameplay in Ratchet and Clank’s debut on the PlayStation Network. With all new wrench mechanics and light and dark illumination puzzles, Ratchet must manipulate objects and use his wits in order to succeed in his quest. New pirate-themed puzzles in four exotic locations will have gamers interacting with townspeople, manipulating shadows and playing pirate tunes, and mixing pirate brew to find hidden treasures. 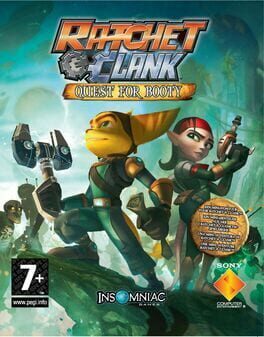 Developed by highly-acclaimed independent developer Insomniac Games, Ratchet & Clank Future: Quest for Booty finds Ratchet in a desperate search for Clank after the intense ending of Ratchet & Clank Future: Tools of Destruction®. After an unfortunate turn of events, Ratchet washes up on the shores of a small village where he must overcome life-threatening challenges, encounter new alien races and even form an alliance with dreaded Captain Slag’s first mate, Rusty Pete. Spyro Shadow Legacy introduces role playing elements to the Dragon Realms, offering Spyro fans an "RPG light" experience with all new gameplay features. 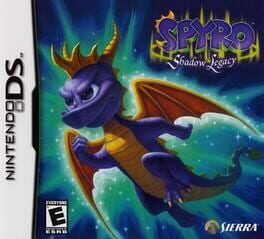 By fighting and defeating creatures in the game, players earn experience points that improve Spyro's strength and abilities. This RPG element allows players to use their experience to build Spyro’s new magical powers and martial arts combat abilities as the game progresses. In the Professor's lab, The Professor shows Spyro and Sparx his two new inventions. The first is a projector-like peephole machine, enabling them to spy on Ripto. The Professor then displays his next new invention - Butler, a large mechanical bear designed to help him in his lab. Unfortunately Butler malfunctions and the Professor has failed to equip it with an "off" switch. Spyro manages to short Butler out by luring him into a power generator, then the peephole machine malfunctions and the hole in the fabric of space begins to expand rapidly. A terrified Professor tells Spyro about "Hearts" - magical objects with very special properties and the only way to control the problem. The Professor is about to give him a warp device that will allow him to travel to all the other lands, when Ripto appears through the hole and claims the device for himself with the advantage he can rapidly conquer the surrounding lands. Ripto warps out Spyro along with Sparx and Butler to the Dragon Shores. 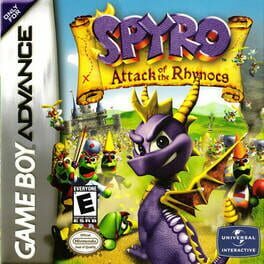 After Spyro is able to travel back to the Professor's Lab and travel through the peephole's vortex to Rypto's Chateau, he finds Ripto about to lower the Professor into a pit of lava, but engages in combat with Spyro. After being defeated, Ripto captures him and Sparx. Butler reappears, and the Professor orders him to trap Ripto. Ripto, now incapacitated, yields the final heart and the Professor permanently seals the hole in space. RPG elements offer more depth than previous Spyro titles, including quests, mini-quests, and a new inventory system, creating more ways to enjoy the Dragon Realms and making this a completely new Spyro experience. A wizard named Merlina, granddaughter of the original Merlin, summons Sonic to help free the mystical realm of King Arthur, who has been possessed by an unknown evil that comes from Excalibur's scabbard, and is now ruling the realm as the tyrannical Black Knight. 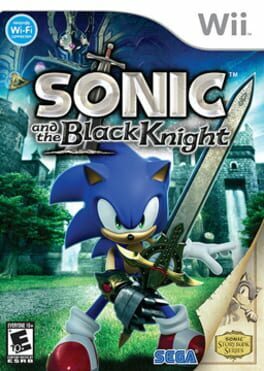 Sonic's speed alone will not end The Black Knight's reign, so he must take up the talking sword, Caliburn, in order to break Arthur's curse and save the kingdom. Sonic must also collect the blades of King Arthur's Knights of the Round Table and Excalibur itself if he is to restore King Arthur's sanity and return him to a benevolent ruler. Sonic travels to the distant shores of Never Lake for the once-a-year appearance of Little Planet - a mysterious world where past, present, and future collide through the power of the Time Stones that lie hidden within it.